M&A Integration presents a unique opportunity for IT leaders to leverage their very high visibility, to enhance not only their delivery capability, but their executive presence and reputation as well. CIOs are well aware that many IT projects fail to meet their stated objectives, are over-budget, or are late. Ask any CIO, and they can quickly list many reasons why IT projects fail, from poor planning to lack of business engagement, and everything in between. Delivering the IT tools needed for the business is difficult in a normal year, but then an announcement is made: the company is buying another business. While the balloons and streamers fly, marking the beginning of the celebrations, the CIO and his or her team will quietly gather to ponder strategy. What is the transaction perimeter? What systems do they have? Why wasn’t IT informed of the deal before it was announced? What happens to our current projects? Will we have help to get all of this done? What is the timeline? And then the tougher questions begin: What will happen to IT? Will our jobs be impacted? After dust clears, and the team has time to understand more about the actual deal, a new reality will settle in. There are going to be completely new projects, and these new “integration” projects are going to be wholly different from the types of projects IT has done in the past. Most importantly, these projects MUST be done on time. Why? Because the deal includes Transition Services Agreements (“TSAs”) that mandate specific dates where the acquired business will lose the IT support of its former parent company. In other words, if the new solution isn’t in place by the end of the TSA, there will be no solution at all, and the business will be at risk. The stakes could hardly be higher. And given the complexities IT must navigate, success is not a given. It is not uncommon for some IT leaders to fear the overwhelming workload and the inevitable risks ahead. However, there is a bright side. Merger integration can actually create significant opportunity. And those who capitalize on this moment can transform the IT group into an integration powerhouse with a brand known for outstanding execution and communication. For example, Finance may depend on IT to deliver data and reports to build pro-forma financials for the new entity. Or Sales may need IT to deliver new customer data. With so many groups depending on IT support, and the eyes of the board and the new leadership team firmly fixed on you, IT will now have an elevated role with increased importance. Get the right help. Find partners who have done work like this before, and those who have a proven track record of success. This is not a time for experimentation; you need to work with people who have the skills and experience for the project, in addition to tools, templates and methodologies. Ask them to show you detailed examples of this work, and move on if they are unwilling to oblige. Relentlessly prioritize. If a project does not support the removal of a TSA, delay it. Focus will bring a unique opportunity to get things done quickly. Don’t allow unrelated projects to consume critical IT or business resources. Renew project and program methodologies. These methodologies should already be in place, but this is a chance to enhance your repository of tools. While you certainly should NOT try to build entirely new tools or templates during the project, where possible you should develop them so they can be used later, in other projects, to increase your odds of success after the TSA period ends. Consistently drive communication. Do not let simple misunderstandings slow progress. Ensure team members are aligned to the goal and can complete the tasks necessary to get there. Communication is often overlooked, but is absolutely crucial to success. Pay close attention to your team and their morale. The stress and pressure of a transaction is far greater than normal. Be very wary of burnout and passive resistance on the team. Look for ways to show appreciation, and everyone is clear about the long term goals. Get early wins, and carefully communicate successes to build your brand. Both as a CIO as well as team, you will need to strike the right balance between communicating your successes while not overlooking issues. Make decisions carefully but quickly. Decisiveness equals speed. It will be better to make a decision and move forward, rather than taking too much time to over-analyze a problem. 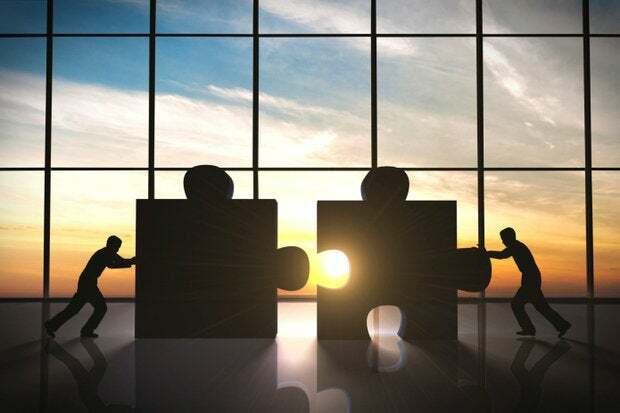 Though it presents massive risks, an M&A transaction presents IT with a golden opportunity to transform both the business and IT, and put the CIO in a much more prominent role at the executive table. Instead of being viewed as a technical leader, the CIO should develop a brand focused on business knowledge and leadership, dependable delivery, and decisiveness. The best teams and CIOs love a challenge, and this could be one of the biggest projects you will face in your career. Embrace the challenge and use it to your advantage. In the end, the success of the transaction may well depend on how well IT can deliver, and the long-term reputation of your team will depend on the success of the integration. Ultimately, a successful delivery will enable you to broker far stronger outcomes for your team, yourself and your company. The views expressed are those of the author and do not necessarily represent the views of Ernst & Young LLP.